Amy Edmondson is the Novartis Professor of Leadership and Management at Harvard Business School. Her work on teaming, psychological safety, and leadership influences corporate and academic audiences around the world. In November Wiley will publish her latest book, which is called The Fearless Organization: Creating Psychological Safety in the Workplace For Learning, Innovation and Growth. Her other books include Extreme Teaming: Lessons in Complex, Cross-Sector Leadership, which provides new insight into the effective management of global enterprises and teaming across boundaries. She is also the author of Building the Future: Big Teaming for Audacious Innovation, Teaming to Innovate. Amy has published numerous articles in the Harvard Business Review and in leading academic journals . She has been recognized by the biannual Thinkers50 global ranking of management thinkers since 2011 and was honored with the Talent Award in 2017. Stew and Amy talk about the importance of psychological safety at work in today’s knowledge-driven economy. Fresh, bold, and perhaps outrageous ideas need to be able to bubble up for organizations to be learning and innovating successfully. Amy describes the recipe for how managers can create a psychologically safe environment: set the stage by reminding people of the mission and their place in achieving it; invite people to contribute their thoughts, suggestions and questions; and respond productively and with curiosity about even the wackiest ideas. She provides tips for producing change in workplace culture, to make it less fearful, from the bottom up. 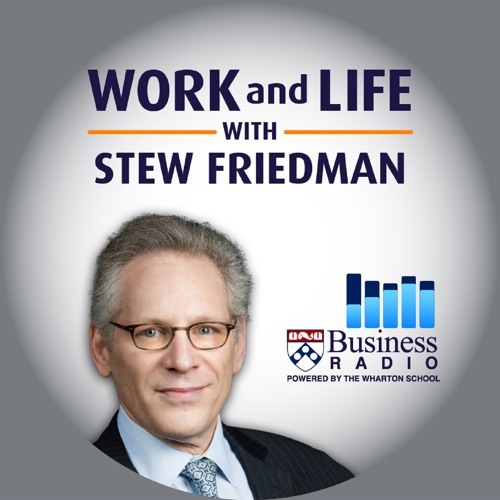 Stew and Amy also talk about the impact of fear at work on life at home.